Equicate offer day services for adults with additional needs from 10am to 3pm during the week. All activities are target based with the development of the individual as a focus at all times. We are a farm environment and activities are suited to those who enjoy the outdoors. We can have a more farm-oriented focus or one directed more towards horse care. We do also offer weekly shorter sessions of 45 minutes - these can be one-to-one or we can put groups together. We use the horse as a tool to enable students to identify the language of the horse and in turn improve own communication and team work skills. We look forward to hearing from you. Get in touch (see email below) for further information or to arrange a visit. A social group for 18-30 year olds who have mild to moderate learning difficulties and who live in South Oxfordshire. This friendly group meet up approximately once every 4-6 weeks for social events. Most members are based in Henley/Wallingford direction. We might meet up for a meal, cinema, bowling, theatre, sporting events, concerts. Giving young disabled adults a meaningful activity and circle of friends whilst parents and carers get a break. Thomley is a place for people of all ages and abilities. They are based on a 9 acre site and they have: a soft play area, art room, sensory room, bike track, zip wire, play rooms, imagination room, fort, cycle track, park, music room, imagination room, teenage den and much more! PLUS they have additional activities on selected days, such as: giant bubbles, woodwork, sports workshops and music therapy workshops. People with and without diagnosis are welcome at Thomley, they have focus days for for everyone - preschool, teenage, adult, quiet, family, community and more. They are based in Worminghall, Buckinghamshire - just outside Oxfordshire, but of course everyone from Oxfordshire is most welcome! The Fourteen Club is an independent social club for people with learning disabilities. At the time it was set up the minimum age for members was 14 - hence the "Fourteen club". Now most of the members are much older, but the name remains. The club aims to provide its members with fun evenings and the chance to socialise. They also usually have a summer outing to places such as Legoland, West Midlands safari park and Cadbury world. In the winter they often have a trip to a pantomime. For their current programme of events, please visit www.14club.org.uk/events.htm! OX18 runs every Thursday evening from Guideposts Trust's Witney base. Activities include touch screen computer, wii, pool, snacks, and trips to the local pub. Cost: £4 for the evening. Mates 'n' Dates is a dating and friendship agency for adults with learning disabilities in Oxfordshire, run by Guideposts Trust. dig 'n' grow is a project which encourages all groups of people to enjoy the experience of working individually or within a group, learning and sharing gardening skills. It offers the opportunity to be outside in the fresh air working alongside professional gardeners, giving a safe and secure environment to explore. Carers/families can be happy knowing that their loved ones are safe and having fun. Yellow Submarine is a charity which organises supported day activities and residential holidays for both young people and adults with learning disabilities. For children (aged 11-18) living in Oxfordshire they run an extensive programme in the school holidays. For adults (18+) they run residential holidays, work experience and training, and a weekly social club. They have set up a social enterprise cafe in Oxford to provide training and employment opportunities for people with learning disabilities. 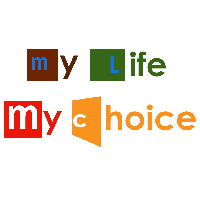 My Life My Choice is a self-advocacy charity run by and for people with learning disabilities. They offer a huge range of services, such as local groups, a travel buddy scheme, training for professionals by people with learning disabilities, a nightclub, a radio station, and an easy-read service - find out more on their webpage! The Stingray Club is the only night club in Oxford run by and for people with learning disabilities. It takes place at the Plush Lounge, Park End Street, Oxford, OX1 1HU once a month from 7pm – 10.30pm. Local self-advocacy group with monthly meetings in Abingdon. For more details, visit their webpage! Local self-advocacy group with monthly meetings in Banbury. For more details, visit their webpage! Local self-advocacy group with monthly meetings in Blackbird Leys. For more details, visit their webpage! Local self-advocacy group with monthly meetings in Chipping Norton. For more details, visit their webpage! Local self-advocacy group with monthly meetings. For more details, visit their webpage! Self-advocacy group for younger people with monthly meetings in Oxford City Centre. For more details, visit their webpage! Local self-advocacy group with monthly meetings in Henley. For more details, visit their webpage! Local self-advocacy group with monthly meetings in Wantage. For more details, visit their webpage!